Laura Mercier's Creme Eye Liner ($22) is a permanent, new addition to the core collection and comes in a total of six shades. Packaged in a small glass jar, the liner has a smooth, silky finish that applies beautifully. I have two of six shades here - Indigo (Midnight Blue) and Espresso (Rich Brown). Both colors have no shimmer or glitter mixed in and the creamy formula is extremely easy to work with. I've used these with a variety of brushes and they apply beautifully on the lash line without any tug or pull. 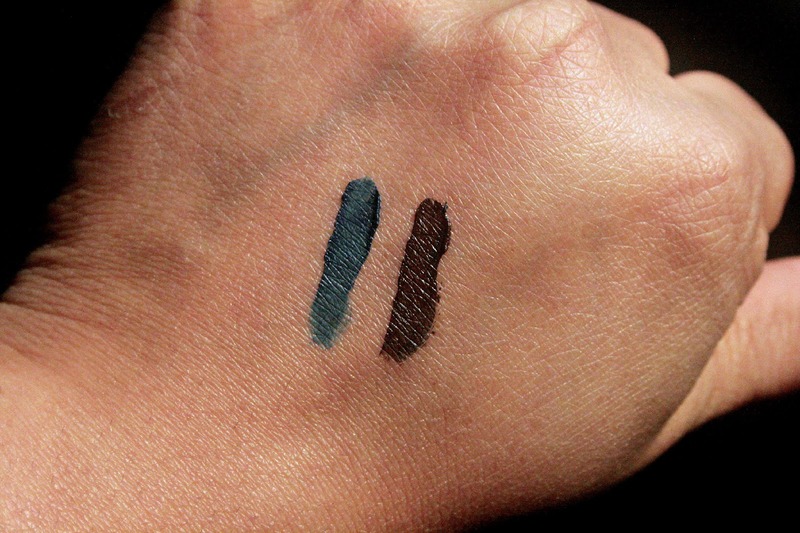 I love how very well pigmented they are and how true to color they turn up in just one swipe. Indigo is a gorgeous blue that looks amazing on the lash line paired with some kohl on the waterline and loads of mascara. Espresso is a great alternative to black, if you prefer a more softer look and a great everyday liner for a simple, natural look. I like how these don't set instantly giving you some time to smudge. My one complaint with these liners however, are how they tend to smudge along the outer corners after the 6 hour mark. It does stay intact everywhere else, but tends to crease a little on the outer corners. Thankfully it smudges evenly, so I don't end up with product all over my face. I also find that a dab of eye primer along the lash lines helps with the creasing a little more. Other than that, I have absolutely no complaints! Love the formula and the small, but beautiful color range. I definitely will be checking out more colors from this range! Have you tried the Laura Mercier Creme Eye Liners? What are your thoughts? I am trying to use up the cream liners I already own, so I can't buy this just yet. It's definitely going on my shopping list, though! Try the blue whenever you plan on buying. Its super gorgeous!